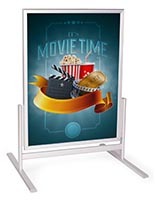 Media Size: 23" x 33"
These rolling retail signs are specifically designed for use in business settings because the large graphics are easily seen. 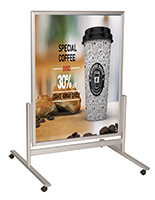 The sandwich boards are able to display 23” x 33” posters on both sides for the ability to grab customers from either angle. 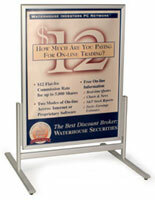 The retail signs with snap frames make it easy to change out designs when the time is right. 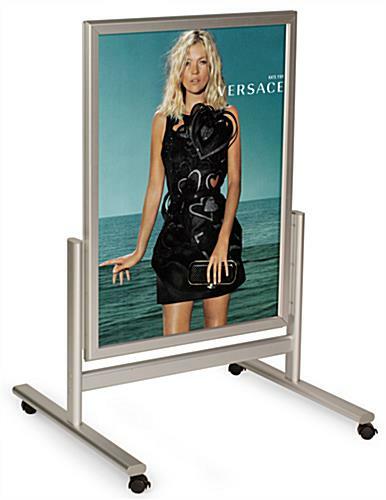 The business displays are made of lightweight aluminum with 4 casters that lock tight for a lightweight and mobile stand that can be static when needed. 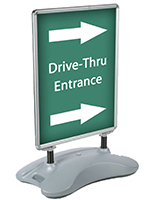 The signs come with PVC covers to help reduce glare and minimize the amount of dirt allowed inside. 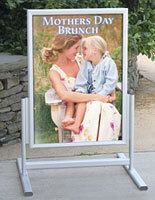 The wheels can be removed from the stand and replaced by feet making the sandwich board perfect for outdoor use. 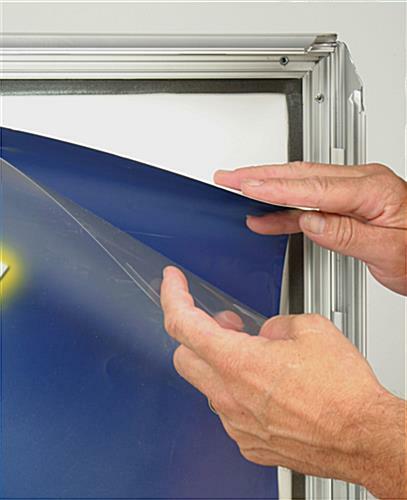 34.0" x 40.5" x 28.0"